The tool is an automatic dicing saw suitable for R&D applications and small scale production. 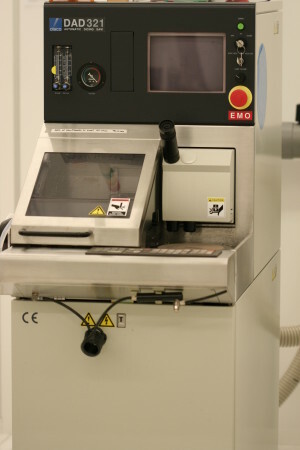 It is equipped with a CCD camera and a 5” monitor.In addition there is a wafer spin-rinse-dryer tool that makes sure that the diced components are clean and dry after the dicing. The wafer can be cut into dice of any size and angles.